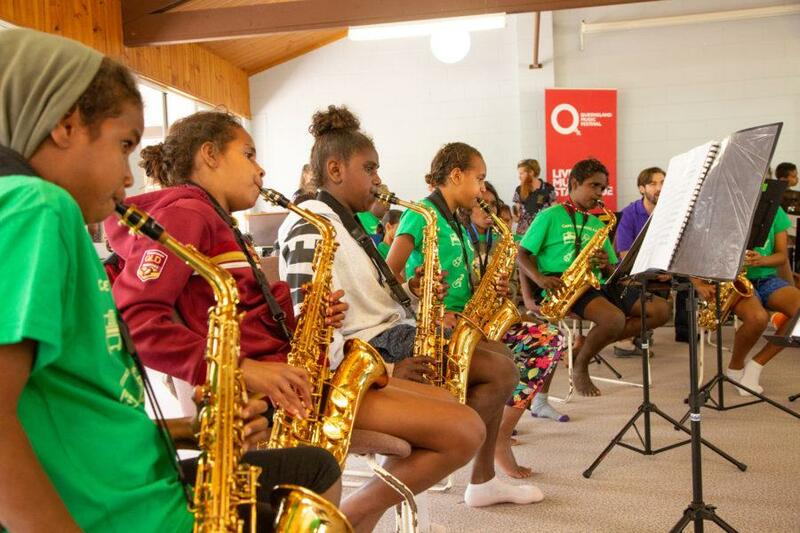 Cape York Aboriginal Australian Academy (CYAAA) once again partnered with the Queensland Music Festival to hold the Band Camp in August 2018. Twenty-three students from Coen, Hope Vale and Aurukun had a blast at the four-day camp in the Atherton Tablelands, learning band instruments, improving their musical skills and learning songs in indigenous languages. 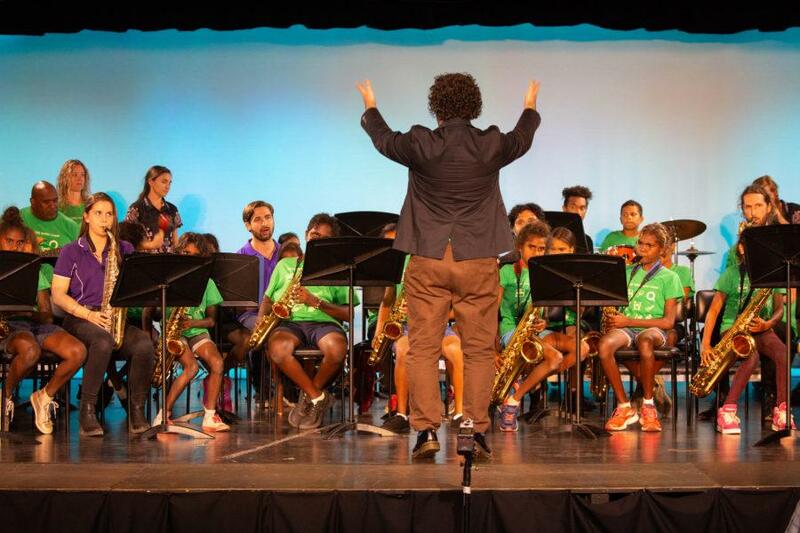 After the four days of intensive training the students held a concert in Cairns, with a large audience parents, Cape York community members and Cairns locals who love music. Coen mum Rachel McIvor, who attended the concert in Cairns, said she felt very proud to see how far her daughters’ musical talents have developed. “I’m not a music person – music is not in our family. So seeing the girls pick up music like it is so easy to them – like reading music, playing music- it makes me very proud,” said Rachel. Hope Vale mum Selina Bowen joined her daughter at the camp and witnessed how it prepares the students for transition to high school by building their confidence away from home.